Crystal here with November Club Q's kit. 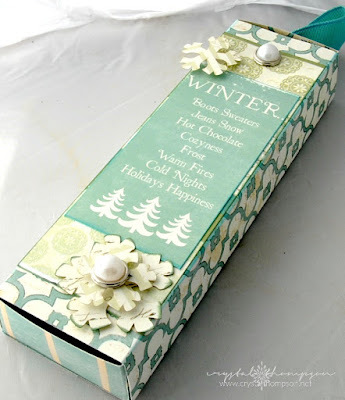 With the holidays coming up I have made a few little gifts with this months Club Q. The paper collection in the kit is called "Chiffon", and its perfect for a winter wonderland theme. 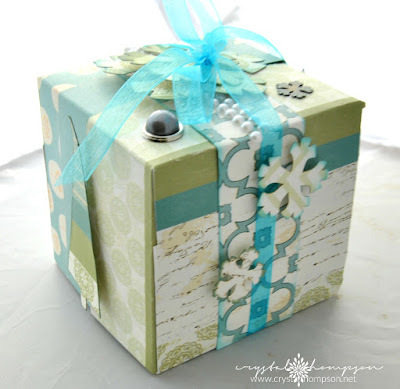 First I created a gift box with one of the card making kits. The gorgeous snow flakes are part of the kit, which makes it super easy to make this box. 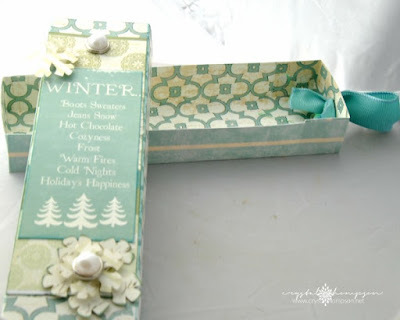 to go along with this box I made a pencil case that I will be using for a sweet bracelet I made. The sentiment is also part of the Club Q kit. Last but not least, I have card to finish this gift set. The December Kit is now available, however you shouldn't miss out on this AWESOME kit with gorgeous colors!